We are still accepting registrations for the SEPTEMBER 13, 2014 1-day basic photography workshop! Please check the details after the posters for more information. Despite storms and typhoons, we are at it again! 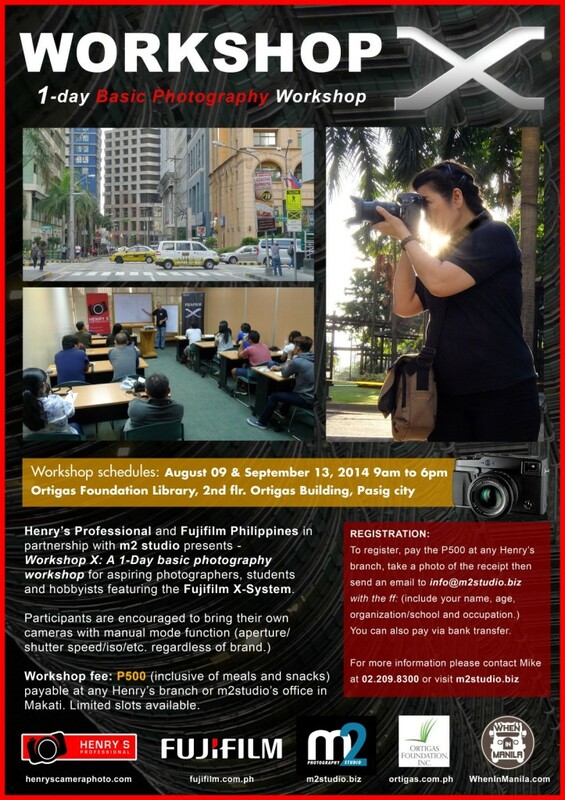 M2 Photography Studio in partnership with Henry’s Professional and Fujifilm is currently conducting workshops that will surely keep your passion ignited! No photography/video experience is necessary (although it would be nice if you have the passion for the craft). A digital point & shoot (with manual / PASM mode) or digital SLR is necessary for the photography workshop. While a video camera or camcorder with manual mode is needed for the video workshop. With over 10 years of experience in video post production, Kim has worked as a video editor for TV commercials with some of the top advertising and TV production houses in the country. Aside from TVC’s, she has worked on memorable shorts like Sun Shorts’ “A Life in a Day”, winner of Digicon6 Outstanding Award; “Botelya”, a Johnson&Johnson short film that won Cannes Lions 2009 Media Bronze; “The Kitchen Musical” pilot material that led to greenlighting the series and it’s spinoff The Boston. She has also been a part of various tv shows from GMA7’s Jollitown, Runway Philippines Season1, Mega Fashion Crew, Lifestyle Network’s Curiosity Got the Chef and Listed. Currently, Kim leads Rightbraincollective, a group of video specialists producing shorts and moving visuals for TV and web. She also does camerawork for M2Studio and aspires to direct shorts and documentaries. Specialising in the moving image, with 15 years of experience in film and video post-production. Arie has worked with top local post-production companies, doing editorial and effects work for television commercials, episodic shows, corporate videos, and feature film. 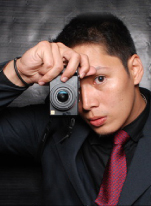 These days, he prefers working behind the camera, most of the time as a videographer and director for M2 Photography Studio. 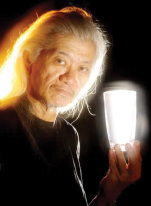 He is also a faculty member at the DLS-College of Saint Benilde’s School of Design and Arts. 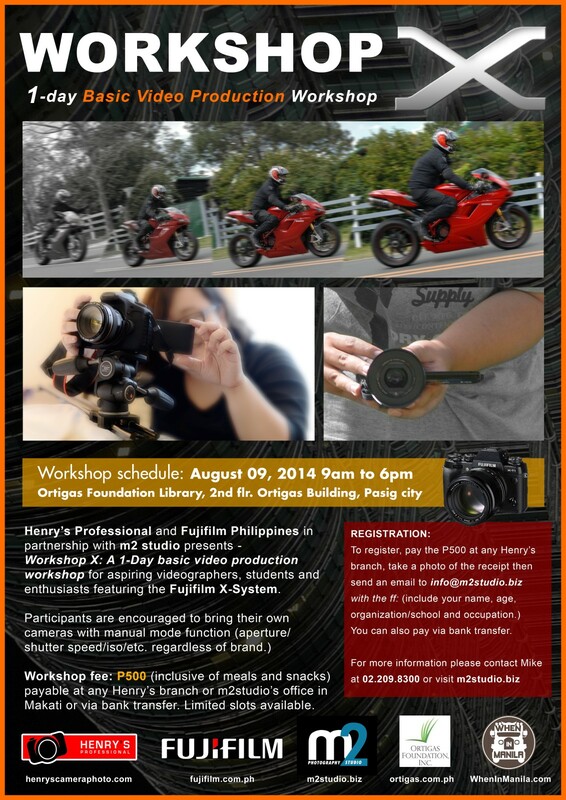 This entry was posted in Site Announcements, Workshops and tagged arie roque, basic photography, beginner, cameras, cinematography, creative, edwin celestino, fujifilm, henry's professional, kim pascual, mike mariano, Ortigas Foundation Library, photography 101, post-production, pre-production, video production, workshop, X System on July 24, 2014 by Studio Manager.